While going to hell is rare, AzhwAr mercifully mentioned about the activities carried out by chEthanas on their own, in the earlier pAsuram. AzhwAr says that even if they do not have any implements [to attain emperumAn], if they leave their responsibility with emperumAn and remain that way, that emperumAn will carry out all the tasks will be evident by merely looking at his greatness. Is it easy for samsAris to attain emperumAn? AzhwAr mentions an easy way. If we are able to attain one who takes care of everything, including our existence, everything will become easy, he says. Where have we seen this happen? ……..
thAzhndhu anRE – did it not bow down and carry out service [to emperumAn]? ariyadhu eLidhAgum – attaining the difficult to attain emperumAn and worshipping him are very difficult. What should be done for that? ARRalAl mARRIp peruga muyalvAraip peRRAl – ARRalAl could mean either with power or with patience. If we consider the first meaning, this would mean: since emperumAn has no shortcoming in his power, transferring the responsibility from chEthana to himself, and utilising that power for removing the hurdle which stands in the way of the chEthana attaining emperumAn and offering himself to the chEthana. If we attain one who says “why should I expect that this entity (chEthana) should do something? Let me take that responsibility on myself and carry out the task for him”, the difficult-to-get entity will become easy-to-get. emperumAn, with his strength, will protect the chEthana such that the chEthana’s powerlessness will get negated. If the second meaning is considered (with patience), this would mean: this patience will be useful for emperumAn to put up with all the inimical deeds carried out by the chEthana which would cause hurdles for him in attaining emperumAn. 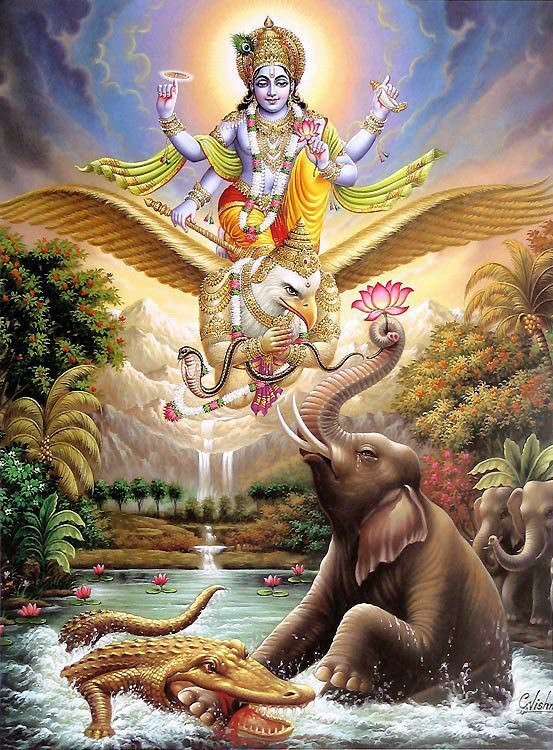 mARRip peruga muyalvAraip peRRAl – Even the difficult tasks will become easy to achieve if he (a chEthana) can get one who will take the chEthana’s responsibility on his shoulders so that the chEthana doesn’t have to do anything. That person who takes the responsibility will give strength to the chEthana and make that also as an act that gives himself strength. He would feel elated that the chEthana has been able to achieve so much (while actually the achievement is the other person’s) without any knowledge or strength [who can be such a person other than emperumAn!]. It is implied here that he [emperumAn] can be attained only through his grace and if we take any effort that would become the cause for even losing him. As an example, AzhwAr is citing the case of gajEndhran, the elephant. kariyadhOr veN kOttu mAl yAnai – the elephant which is black in colour, has white coloured tusks and is huge. venri mudiththanRE thaN kOttu mAmalarAl thAzhndhu – [gajEndhran] the elephant entered the pond, plucked a lotus flower and was harassed by a crocodile. To remove the sorrow of the elephant that it may not be able to offer the flower to the divine feet of emperumAn before the flower withers away, emperumAn came running to the bank of the pond with his dress and crown dishevelled and took the elephant to safety, on the bank. Once he reached the bank, didn’t gajEndharan offer the flower at the divine feet of emperumAn and remove his enemy! AzhwAr called the elephant, which was troubled by the crocodile, as kariyadhOr veNkOttu mAl yAnai (black coloured, huge elephant with white tusks). The purpose of describing the colour of the elephant and the tusks when the elephant was in such a condition [being troubled by crocodile] is: just as a child falls into a well and the mother thinks “what a beautiful child” and starts thinking about the beauty and the various parts of the child, AzhwAr also thinks of the beauty of the elephant in the same way. The world kOttu refers to bank (of the pond) and the world thaN means being cool. Did the elephant become victorious after it reached the cool bank and offer the flower? Did it become victorious after submitting the flower at the divine feet? Did it not become victorious with emperumAn’s mercy! If the text is thaN thOttu mAmalarAl the meaning will be “huge flower with cool petals”. When emperumAn had not taken on himself the protection of gajEndhran, the elephant was under the crocodile’s control. As soon as emperumAn took over its protection, the hurdle for elephant disappeared. The one who is protected with emperumAn’s mercy will be strong. When emperumAn is angry and does not protect, the enemies will be strong. Just as emperumAn himself has mentioned in SrI bhagavath gIthA 12-7 “thEshAm aham samuthdhArthA mruthyu samsAra sAgarAth” (I save them from the ocean of samsAram), he will protect. When he is angry, he will push us into difficulties, as mentioned in SrI bhagavath gIthA 16-19 “kshipAmi ajasramaSubAn AsurIshvEva yOnishu” (I will push them into demonic births). Thus [if we leave out protection to emperumAn] the difficult task will become easy. All that is required of chEthana for this to happen is not to obstruct when emperumAn wants to shower his mercy on him. We shall move on to the 23rd pAsuram, next. This entry was posted in iraNdAm thiruvandhAdhi, iyaRpA on October 22, 2017 by T N Krishnan.